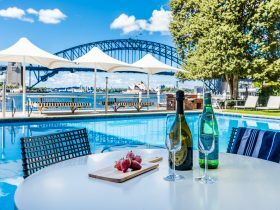 Whether savouring finely crafted cuisine at Sydney Harbour’s renowned Icons brassiere restaurant, or retiring to the spacious opulence of your hotel room complete with picturesque harbour views, the accent throughout is on trusted personalised service. Bridge View rooms contain one king or two double beds, and can sleep up to four guests. 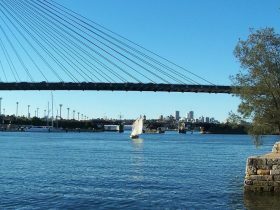 The rooms have a view of the Sydney Harbour Bridge. All rooms feature complimentary coffee and tea making facilities, iron and ironing board, flat screen television, direct dial telephones with voicemail, mini bar and on-demand movies. Executive Level rooms contain one king bed, and can sleep up to two guests. The rooms are on a high floor of the hotel, and feature Executive lounge access, complimentary non-alcoholic beverages, complimentary business services and continental breakfast. Opera View suites contain one king or two double beds, and can sleep up to four guests. 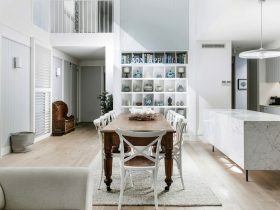 The suites have a view of the Opera House, and partial harbour views. 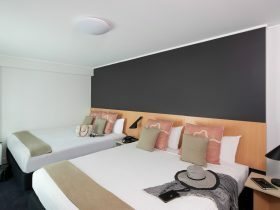 Junior Suite rooms contain one king bed, and can sleep up to three guests. The suites are located on Level 30 of the hotel. 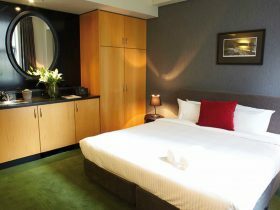 City View rooms contain one king or two double beds, and can sleep up to three guests. Spa Suite rooms contain one king bed, and can sleep up to three guests. The rooms are on a high floor of the hotel. Opera Suite rooms contain one king bed, and can sleep up to three guests. 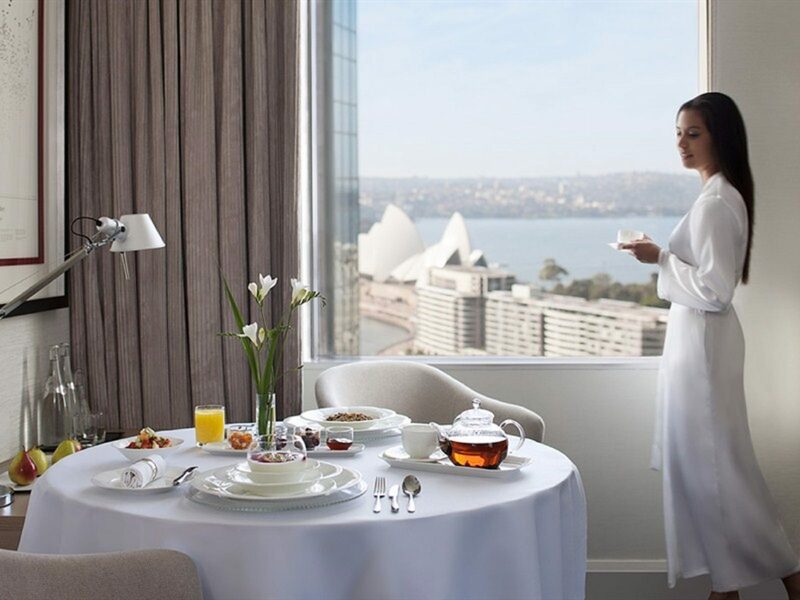 The rooms have a view of the Opera House and partial harbour views.